Energy conservation is something we are hearing more and more of with each passing day. With rising energy costs and depleting energy resources, it has become imperative that all of us start taking steps to conserve energy very seriously. In India, we are not able to produce enough energy to meet our demand. 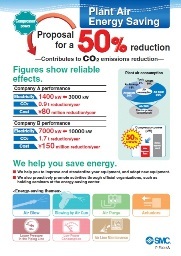 The most economical way to counter energy shortage is to conserve energy. It is estimated that India’s industrial sector has an energy conservation potential of around 35-45% (Source - http://bit.ly/2b7SxKr). 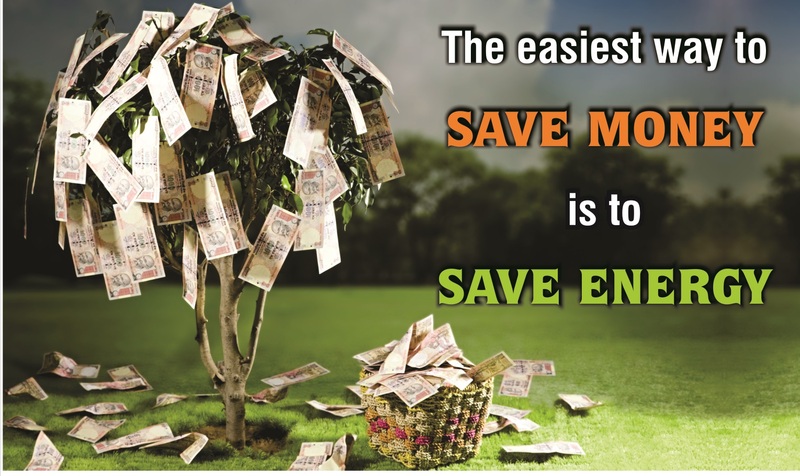 Energy conservation in simple words means to get a similar output while reducing the input energy required. 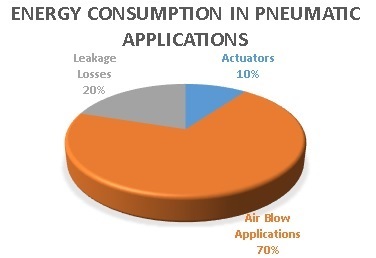 Identify the potential areas for improvement - Internal studies conducted by SMC show that typical industrial units follow the following compressed air usage pattern – 10% for actuators, 20% lost as leakage and 70% for air blow applications as shown in the graph below. Energy Savings can be done all 3 areas, however, Air Blow applications and leakage losses have major scope of improvement. Quantify the losses – Calculate the amount of money you are using for compressed air consumption and the amount you are losing directly to leakages. There are a few measures which you can take for efficient energy utilization in the plant.